During the early phases of the program, shortly after the Kickstarter was successfully funded, Shroud of the Avatar held a series of Unity Scene Jams. In it, they invited anyone interested in participating, to construct a Shroud of the Avatar scene using Unity, the same game development engine they are using to create the game. 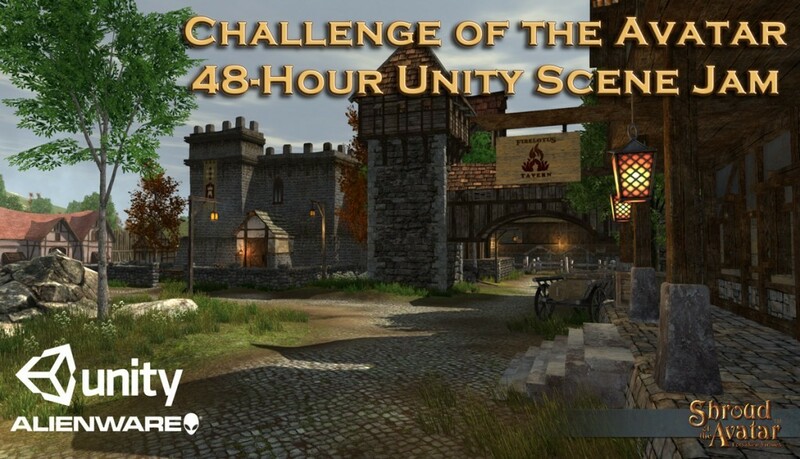 The community was given a theme, and 48 hours to re-imagine it in Unity. Keep in mind that the competitors had nothing to go by other than a description of the scene they were to create. 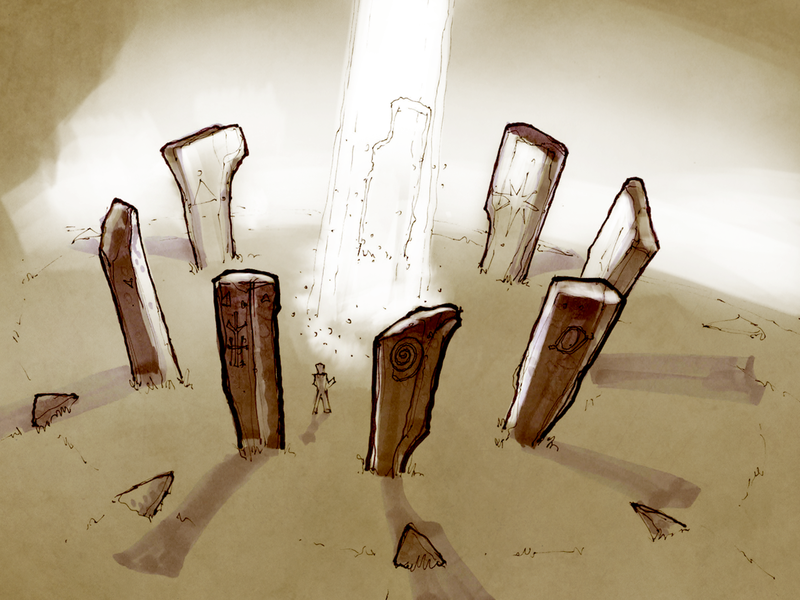 The first scene jam was held September 20th, 2013, and the last November 1st, 2013.The first pre-alpha of the actual game was released December 12, 2013, allowing the players to see and experience, for the first time, how the developers imagined the world of New Britannia. For the first Unity Scene Jam challenge we were tasked to create a scene that included a lunar rift situated on a plateau (or on top of a very steep hill) surrounded by the ruins of an ancient town or village. Community member Elbregan (whom I had just met 2 weeks earlier) and I worked feverishly to create a concept and deliver it by the 48 hour deadline. There were many obstacles to overcome: working remotely, with unfamiliar tools and an unknown partner on an epic time crunch. Despite this we came in second place for our entry which we called, Exploring the Rift. NOTE: The scene currently works in Mozilla Firefox, Microsoft IE and Apple Safari. Chrome not supported as they have removed support for NPAPI. Click Here To Walk Through “Exploring The Rift”. For the fourth and final 48 hour challenge participants were asked to take one of Concept Artist Stephen Daniele’s drawings and create a scene that captures its essence and beyond. I chose his “Cave” concept and created what I called, The Caves of Solace. Some of the features of this scene include combat with skeletons, and footstep sound effects that change depending on the surface you are walking on. Even the monsters steps can be heard giving the player audio queues of their presence and proximity. 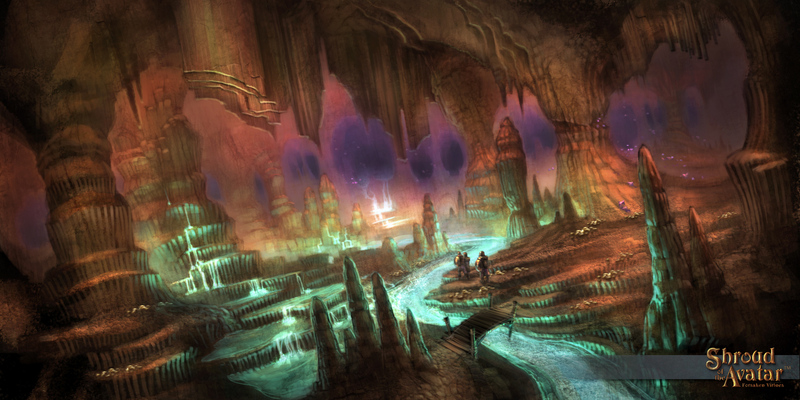 Click Here To Walk Through The “Caves of Solace”.